Kalysa was born and raised in the Municipality of the District of St. Mary’s, Nova Scotia. Kalysa obtained her law degree in 2016 from Dalhousie University’s, Schulich School of Law. Kalysa articled with EMM law and joined EMM Law as an associate in 2017. 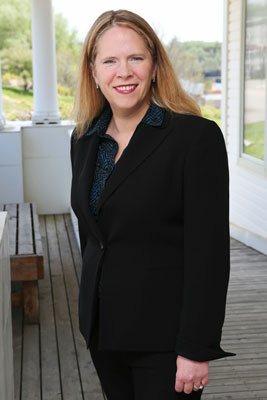 Kalysa practices family law, civil litigation, criminal law, wills and estates, and probate litigation. Kalysa graduated from Acadia University with a Bachelor of Arts degree in English and Political Science in 2001. She worked in the fields of Adult Education and Community Development for twelve years before she attended law school. Kalysa has lived and worked in Japan and British Columbia. She returned to the Strait Region in 2007 where she worked for several, local NFPs and NGOs coordinating adult and community education programs. Kalysa’s roots and her family’s long history of contributing to community life in St. Mary’s are important to her. Kalysa is a past board member of the Historic Sherbrooke Village Development Society and a local community volunteer. Kalysa lives with her husband and their young son in the Kirk family homestead in Glenelg, St. Mary’s, Nova Scotia. They enjoy playing music with their family and friends, and spending time outdoors on and around the beautiful St. Mary’s River.